OnTrac is a simple Pebble watch app that scans for the closest subway stops and displays the next trains that are arriving in either direction. At a glance, you know how quickly you need to run down those subway steps, or maybe you DO actually have time to stop for that cronut. 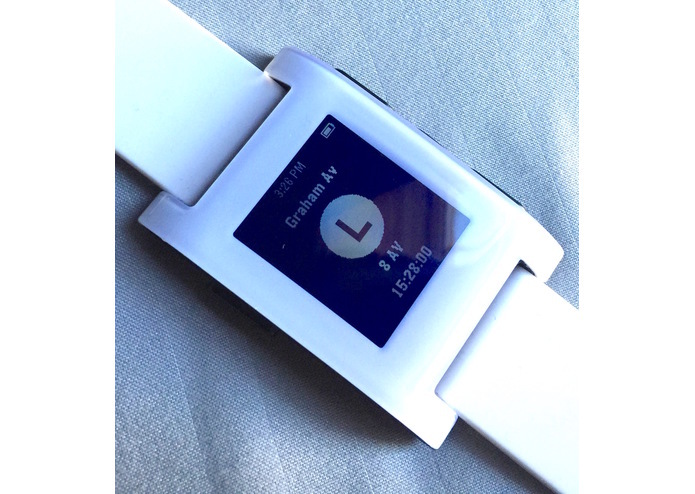 Have a Pebble smartwatch and an iOS or Android device set up to do the installation. Visit our website (http://OnTr.ac) on your phone to download the pebble watchapp file (ontrac.pbw) and open it with the pebble app. This will install the app on your watch, then you're ready to go! Every time you launch the app, it scans for the closest subway stops and displays departures in real time.